The glossy base of the Faro table lamp adds a certain je ne sais quoi. 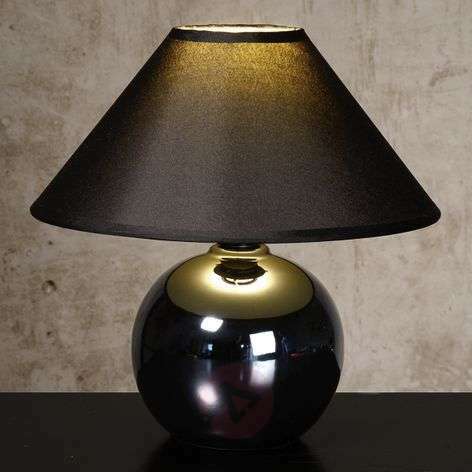 Whether on a bedside table or a side table in the hallway or living room, this light is sure to attract a lot of attention. 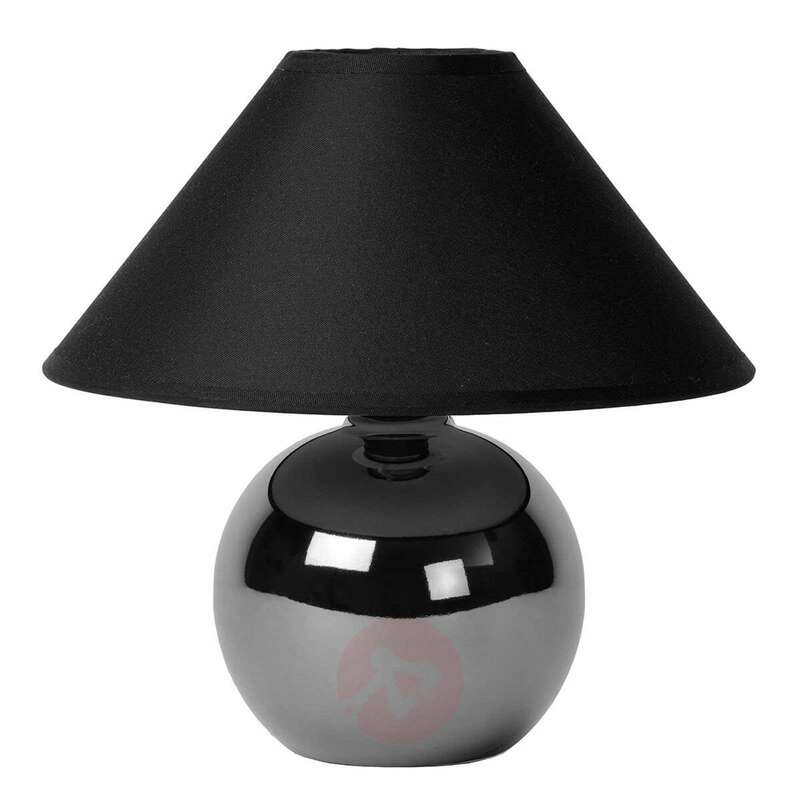 The spherical base has a high gloss finish, which gives the black part of a light a more shimmery appearance. 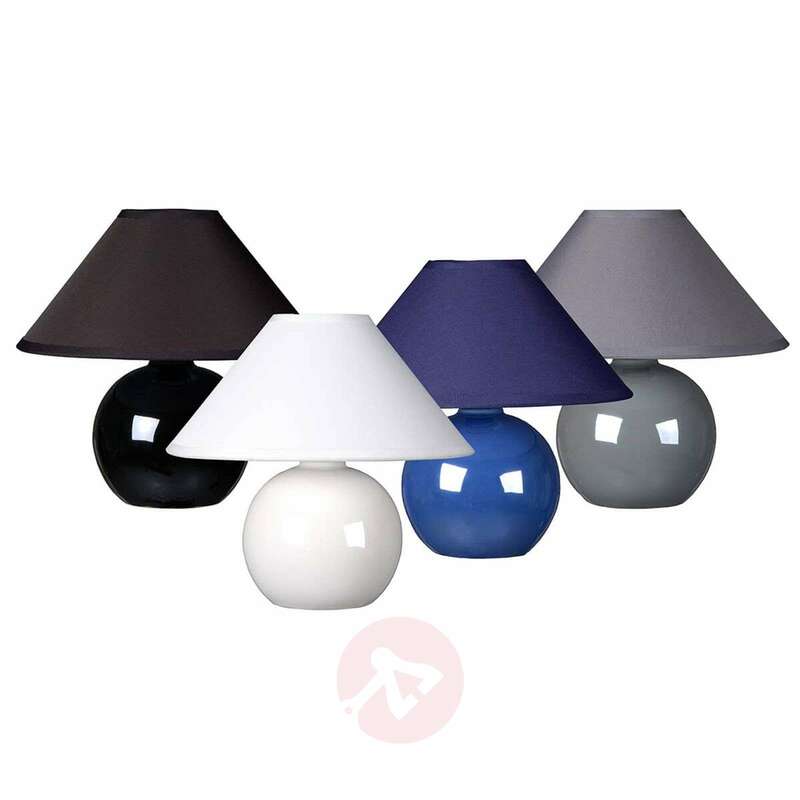 The classic fabric lampshade further highlights the overall impression. Thank you for your query. Yes, this light has an on/off switch on the cord.